Originally from South Philadelphia, Damon got his B.S. in Electrical Engineering from Penn State. 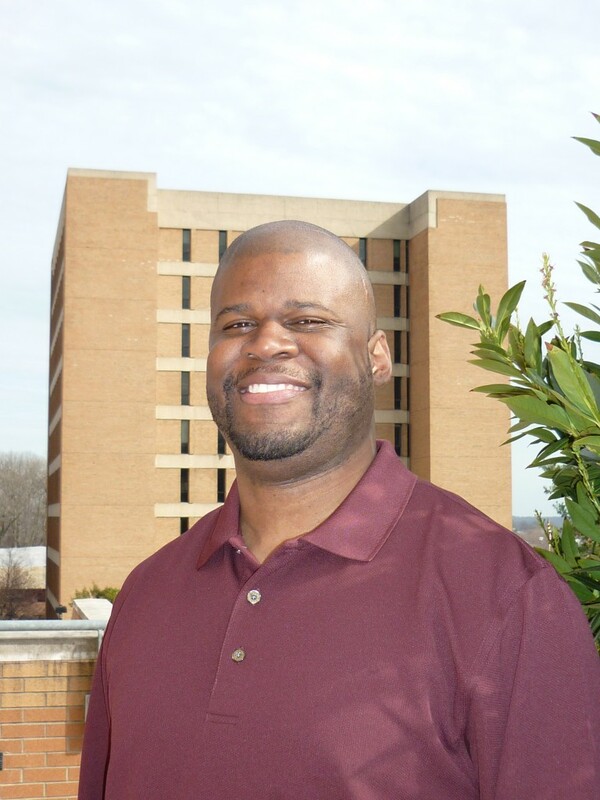 In 2006, Damon came to UMBC and is now a pursuing his Ph.D. in Electrical Engineering. When he's not studying, Damon works as founder and group leader of the Digital Signal Processing Technology Group at NASA's Goddard Space Flight Center, takes care of his family, and occasionally enjoys electronic dance music at nightclubs in Washington D.C. and New York City. When did you know you wanted to study Electrical Engineering? I decided on my major back in undergraduate school. I decided to stick with Electrical Engineering through my master’s and PhD programs once I developed a passion for digital signal processing in undergrad and after interning at NASA's Goddard Space Flight Center. I’m developing methods that use statistical signal processing and information theory that can be used to help Earth-observing, space-borne microwave radiometers mitigate the adverse effects of human-made radio frequency interference. By doing so, I can help future radiometers deliver high-quality data to climate and weather scientists that has not been degraded by unwanted signals. Before working at NASA, I co-oped at Boeing in Huntington Beach, CA, and then at General Electric, Transportation Systems in Erie, PA.
Continue working at NASA, teach, and start a consulting business. One that maximizes my income and minimizes my time away from home. This is probably a job that I create myself. My first impression was that UMBC was a small, friendly and laid-back university with a high standard of academic excellence. I chose UMBC for several reasons. First, I was familiar with reputation and quality of the engineering program long before I applied. Second, since I work full time, the timing of all of the graduate classes worked out perfectly with my schedule. 4 p.m. and 5:30 p.m. class start times twice a week are optimal for a lot of folks who have full time jobs. In addition, the courses offered were rigorous, as I expected. Some other programs “water-down” the material to cater to full-time students. This was hardly the case. The amount of work, quality of instruction and expectations placed on students is fitting and really enhances the learning experience. Lastly, the first two people I met from UMBC, Professors Janet Rutledge and Joel Morris (my PhD advisor), were gracious, friendly and very helpful to me, even before I applied to the university. Professor Morris even gave me and one of my friends (also a current PhD student) a brief tour of the university before we applied. We both felt at home immediately. What was your first Electrical Engineering Course? My first Electrical Engineering course was ENEE601, Linear Systems Theory. What was your favorite Electrical Engineering Course? I like the fact that the department is small, and they give you individualized attention and literally care about you as a student. You meet directly with your advisor, and not any of their post-doc students. Instruction is top-notch. All instructors are friendly, approachable and deeply knowledgeable about their fields of research. Extremely interesting! The styles of the professors in the signal processing program at least all complement each other very well. They truly represent the full range of PhD advisor types and approaches to mentoring students. Some can be tough, micro-managers of your work, who stay on your case and guide you like an athletic coach so you can quickly graduate. At the opposite end of the spectrum, others are somewhat hands-off, allowing the student complete flexibility in their research and learn with you, only guiding you when necessary but the interaction is driven by you. Then we have advisors who represent a middle-ground of the two approaches. You really have to know yourself, your learning style, and how you wish to interact with your advisor to find your match. Know yourself and your study habits. Interview your potential research advisors, more than once, and get to know them and their research. Build a working relationship with them as they are the ultimate gatekeepers to your success as a graduate student. Make sure you have extraordinary amounts of time to concentrate on your work, have an outlet to have fun, and become experienced in your field even before you graduate. Take advantage of all of the resources in front of you. Ask good questions that no one has ever asked before, and do your homework to find the answers.